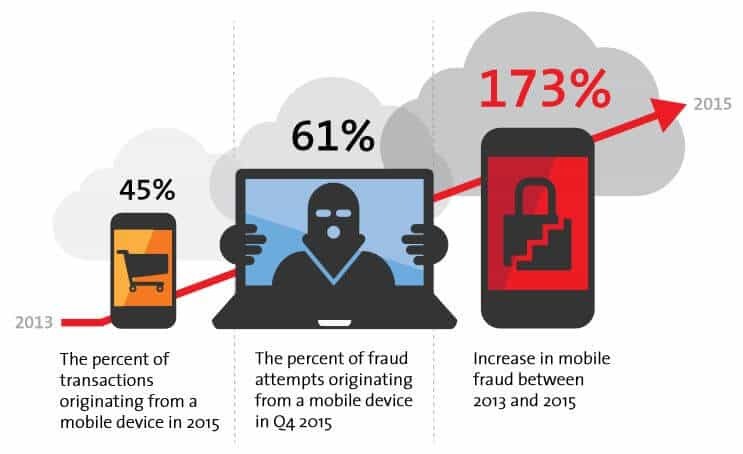 *This article is regularly updated with latest cybercrime and cybersecurity statistics, there are more than 100 statistics in the list and growing. There’s no doubt that cybercrime and cybersecurity are hot topics. Indeed, with global cybercrime damages predicted to cost $6 trillion annually by 2021, it’s important to be in-the-know about the potential threat cybercrime poses, the impact it is having, and what is being done about it. To help create a clearer image of what is happening, we’ve compiled the most important of this data in an easily digestible format. In this guide, you’ll find out about recent cybercrime statistics and facts, which highlight the dangers of and responses to this growing threat. We’ve sourced the most useful stats from 2017-2018, but where none are available, we’re sharing earlier statistics that help to paint an overall picture. We’ll then share a roundup of cybercrime and cybersecurity surveys, studies, and reports from across the globe. Toward the end, we’ll hone in on the varying statistics related to cybersecurity and internet freedom for specific countries. 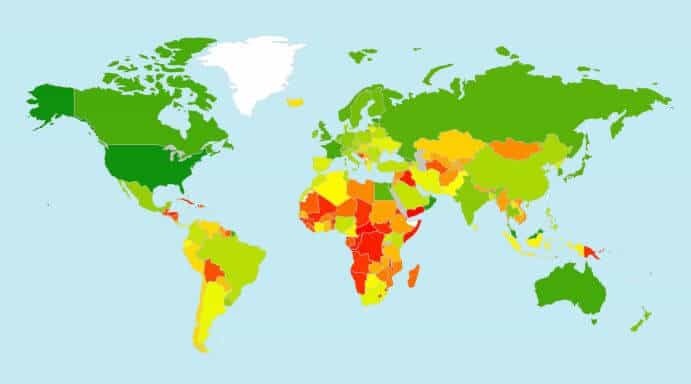 Using our detailed infographic, you can find out which countries are most and least safe. Finally, we’ll offer some practical tips to help you stay safe online and do your part in the fight against cybercrime including where to report crimes depending on which country you live in. One of the biggest problems in trying to understand what’s happening in the ever-changing world of cybersecurity is that there is just so much information out there. Not only is the nature of threats constantly evolving, but the responses to them differ across the globe. For example, one of the newest threats to consumers is not the loss of their data, but the use of their devices for bitcoin mining. 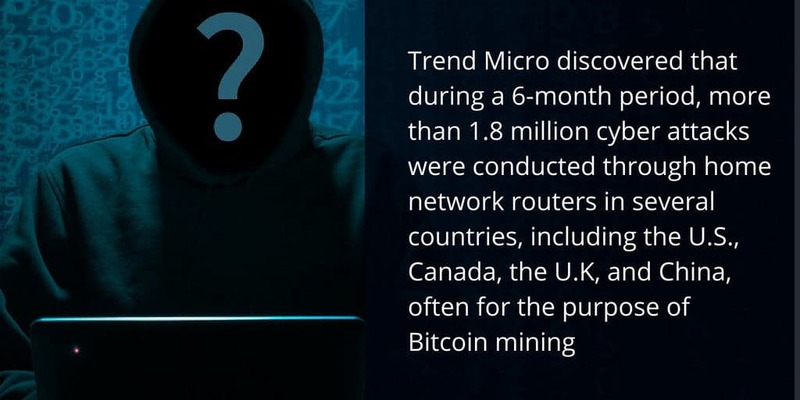 In fact, Symantec found that there was an 8,500 percent increase in the detection of coinminers. This indicates that many cybercriminals are more than happy to just use a victim’s computer power and resources to mine cryptocurrencies instead of stealing any personal data or money. The cybercrime statistics don’t lie: 2016 and 2017 were pivotal years in cybersecurity, marking both rapid growth in mischievous and harmful online criminality, as well as increasingly rapid responses to digital crime. 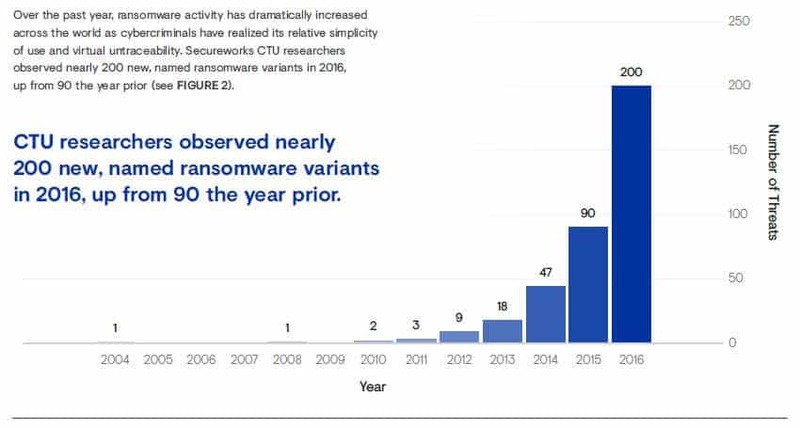 Most notably, ransomware has taken center stage, stealing the limelight from most other forms of malware. Meanwhile, although data breaches are becoming less an aberration and more the norm, a general malaise among both consumers and some of the world’s largest businesses (more specifically, the twice-troubled Equifax), casts a worrisome eye on the overall security of private user data. 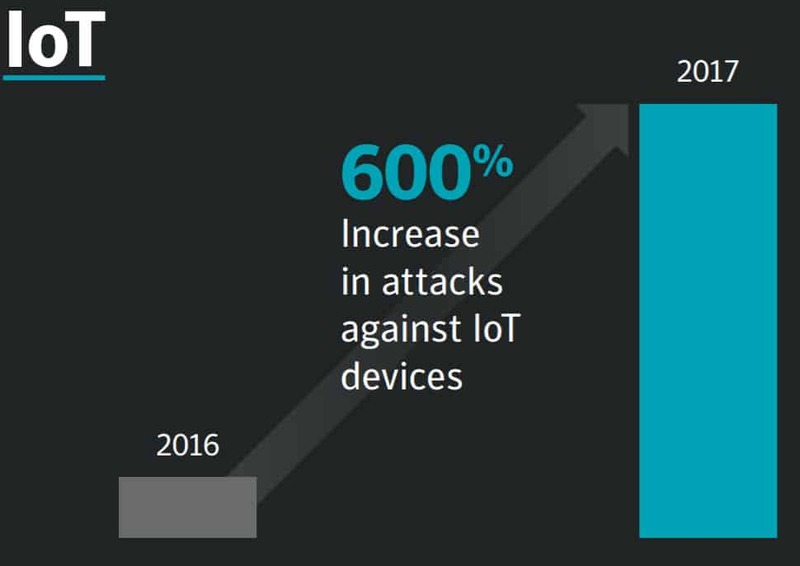 However, not all increases in cybercrime have been relegated to attacks on businesses and average consumers. Cyberactivism has also been on the rise, most notably through cases like the Panama Papers in 2015 and most recently, the Paradise Papers release. Both leaks reveal private data on methods the world’s ultra-wealthy are using to house money in offshore locations, presumably to avoid taxes in their home countries. From data loss to government cybersecurity spending, we’ve researched some of the most head-turning and noteworthy cybercrime stats for 2017 and 2018, with a few notable facts that are still relevant from 2016. Below, you’ll find a categorized list that reveals why these are growing areas of concern for cybersecurity professionals and internet users alike. One of the more troubling trends we found for 2016 and 2017 is the impact on consumers. The stark increase in data breaches results in an unprecedented amount of compromised personal information. As more consumers become exposed to data-hungry criminals, it’s increasingly apparent that personal protections against data theft are more important than ever. The Edward Snowdens and Panama Papers John Does are unfortunately rare examples of cybercriminals. Most cybercriminals aren’t stealing data and leaking secrets for the sake of justice. Instead, most are out for personal gain, typically stealing money directly from consumers and businesses, or selling that data on the Dark Web. Regardless of their motivation, however, responding and stemming the tide of cybercrime is a massively costly endeavor. Internationally, businesses are intimately familiar with the need for data protection. Yet 2017 has taught us that even some of the largest businesses holding some of the most sensitive consumer data are still vulnerable—and at times, poorly secured. Around the world, hackers increasingly targeted businesses and governments. Small businesses and even hospitals learned the hard way that enterprise businesses are not the only ones who need to be concerned. 43 percent of cyber attacks against businesses worldwide target small companies. We’re barely a couple of months into the New Year, but reports of cybercrimes are already creating headlines. Here are some of the predictions being put forward regarding what we can expect to see during the rest of the year. Cybercrime continues to be a massive problem facing governments, businesses, and the general public worldwide. According to Statista, cybercrime accounted for $1.33 billion (~ GBP £978 million) in damages in 2016 in the US alone. With massive cyberattacks occurring on a regular basis, things are seemingly out of control. The most effective way organizations and individuals can combat cybercrime is through improved cybersecurity. Professionals in this field are in high demand, and rightly so. It’s also no wonder that organizations across the globe are conducting studies and surveys and compiling in-depth reports all based around these topics. Such organizations include government bodies, multinational professional services firms, and security solution companies, among others. The focus of their studies include perception of cybersecurity and cybercrime, preparedness to tackle threats, and what the future holds. In honor of National Cyber Security Awareness Month, we’ve rounded up these surveys and studies for easy access. The reports are grouped by region and you’ll also find details about who conducted each one, the number or respondents involved (where applicable), and the main purpose or focus. The International Telecommunications Union (ITU) is the United Nations’ specialized agency for information and communication technologies. This index was first launched in 2014 and measures the commitment of ITU Member States towards cybersecurity. PwC is a multinational professional services network based in the UK. In this case, 10,000 business and IT executives were surveyed to find out what they’re focusing on now and in the foreseeable future. Ernst & Young (EY) is another multinational professional services firm based in the UK. For this report, they surveyed 1,735 CIOs, CISOs, and other executives from companies across the globe. It evaluates how businesses are performing with respect to their cybersecurity capabilities. It then offers insight into how cyber resilience can be achieved. The 350,000 member LinkedIn Information Security Community collaborated with Crowd Research Partners to produce this report. It explores cybersecurity trends, and offers benchmark data to help companies evaluate their own performance. Tenable is a cyber exposure company that helps organizations understand and reduce their cyber risk. Its Report Card is in its second year, this year’s being based on findings from a survey of 700 security practitioners. It assigns indices and grades to countries and industries based on awareness and preparedness. Note that the linked article offers an overview of the report findings, but you’ll have to subscribe in order to download a copy of the full report. Secureworks is a security solutions company that serves businesses across the globe. This report uses the company’s experience with and insight into things like criminal forums and monitoring global criminal activity. It delves into the criminal landscape and the subject of cyber crime as a market economy. Note that the linked article offers an overview of the report findings, but you’ll have to subscribe in order to download a copy of the full report. Fortinet is US-based cybersecurity solutions company. It conducts an annual survey examining the challenges facing IT professionals and the attitudes towards cybersecurity in business. ISACA is an international association with a focus on IT governance. In conjunction with RSA, they conducted this survey that received a total of 461 respondents. IT professionals from various parts of the globe participated to answer questions on organizational security and preparedness against cyber attacks. RSA is a provider of security solutions to businesses across the globe. This one is not actually a survey itself, but rather a report based on findings from other surveys and the opinions of the authors. CSO offers up news, research and analysis on the topics of security and risk management. This survey, conducted in conjunction with the US Secret Service and CERT, provides insight into the threats US businesses face and how companies are responding. 510 respondents include executives from US businesses, government agencies, and law enforcement services. Note the linked article offers an overview of the report findings, but you’ll have to subscribe in order to download a copy of the full report. Deloitte, a US-based professional services firm, conducted this survey in conjunction with NASICO, a non-profit representing CIOs. The survey specifically targets State Chief Information Security Officers to offer a view of what’s happening at the government level. Pew Research Center is a nonpartisan organization providing information regarding US issues and trends. Instead of focusing on businesses, this study reveals what the American public knows about cybersecurity. 1,055 respondents answered 13 questions testing knowledge of cybersecurity issues and terms. The Governance Services department of the New York Stock Exchange teamed up with application security company Veracode to produce this report. Focusing on mergers and acquisitions (M&A), they asked 276 public company directors and officers about cyber risk management in an M&A environment. The report also provides benchmarking practices for future dealings. Symantec is a software company specializing in security, storage, and backup solutions. This study, conducted in conjunction with HIMSS Analytics, surveyed 100 C-suite, business, IT, and clinical leaders. It explored how healthcare organizations are dealing with the issue of cybersecurity, including how it’s perceived and the resources being allocated to it. KPMG is a multinational professional services company headquartered in the Netherlands. This study involved 200 senior executives from the healthcare and life sciences fields. It examines where organizations are when it comes to cybersecurity, compared to where they should be. Key areas explored are data sharing, vendor management, and medical device implementation. ESET is a security company providing anti-virus and firewall products. This survey was conducted in collaboration with the National Cyber Security Alliance (NCSA) to explore the perceptions and concerns held by the American public regarding the IoT. 1,527 respondents answered questions surrounding cybersecurity awareness and precautions. The Computer Security Institute (CSI) was an IT professional membership organization that was absorbed by UBM in 2011. This report was in its 15th and final year and aimed to provide independent insight into understanding and defending against cyber threats. The 351 respondents were information security professional from a range of industries including consulting, financial services, and education, among others. This report was prepared by Nielsen based on a consultation overseen by the Government of Canada. It’s purpose was to provide an overview of challenges and trends and to propose a strategy for cybersecurity in Canada. 2,095 members of the Canadian public took part and answered questions on topics including the evolution of cyber threats and the economic significance of cyber security. This is an extension of the PwC survey we mentioned above. It reports specifically on Canadian businesses and how they’re dealing with cybersecurity compared to their global peers. The European Commission (EC) produced this report based on a survey of the 28 EU countries. It aims to gauge public opinion of cybersecurity, including experience and perception. Areas covered include internet usage, experience with cybercrime, and concern about this type of crime. CyberROAD is a research project funded by the EC to help the fight against cybercrime. This report covers three surveys involving a total of 2,200 respondents from the EU and 20 other countries. These included subject specialists, policy makers, and law enforcement personnel, among others. The goal was to investigate the impact of cybercrime in order to advise which areas of research the EU should invest in. The UK Government Department for Culture, Media & Sport conducted this survey in conjunction with Ipsos MORI Social Research Institute and the University of Portsmouth. 1,523 interviews were conducted with UK businesses to see how they view cybersecurity and the steps they’re taking to tackle the issue of cybercrime. Germany’s Federal Office for Information Security manages computer and communication security for the German government. This reports covers the state of cybersecurity in Germany, including current developments in IT security and vulnerabilities in IT systems. The Australian Cyber Security Centre (ACSC) is an Australian Government initiative to help harden the country’s networks against threats. This report summarizes what they have observed in terms of cybercrime and security over the past year, including trends, challenges, and responses. This survey serves as a companion to the 2016 version of the above report. It covers both the government and private sectors and aims to provide an overview of how prepared organizations are to meet growing cyber threats. 113 organizations participated, including 68 private sector and 45 government. The Australian Prudential Regulation Authority (APRA) is a government division that regulates the country’s financial services industry. The aim of this survey, which had 41 respondents, was to find out about cybersecurity incidents and their management within APRA-regulated sectors. Telstra is a large Australian telecommunications and media company. 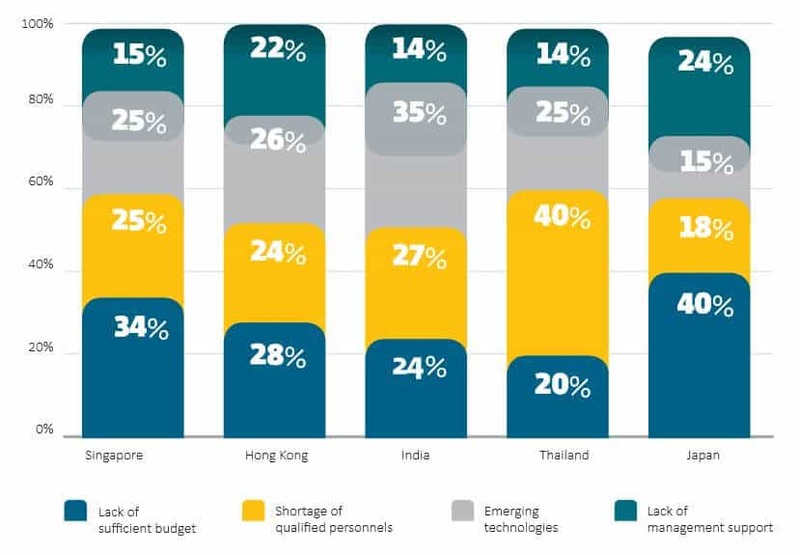 This report is based on a survey of 360 IT professionals from Asia and Australia. It aims to provide insights into the cybersecurity landscape, to help organizations manage and mitigate risks. In the global EY survey listed above, out of the 1,735 CXO respondents, 124 were from India. This report breaks out data from these participants to create a view of cybercrime as it relates to Indian businesses. 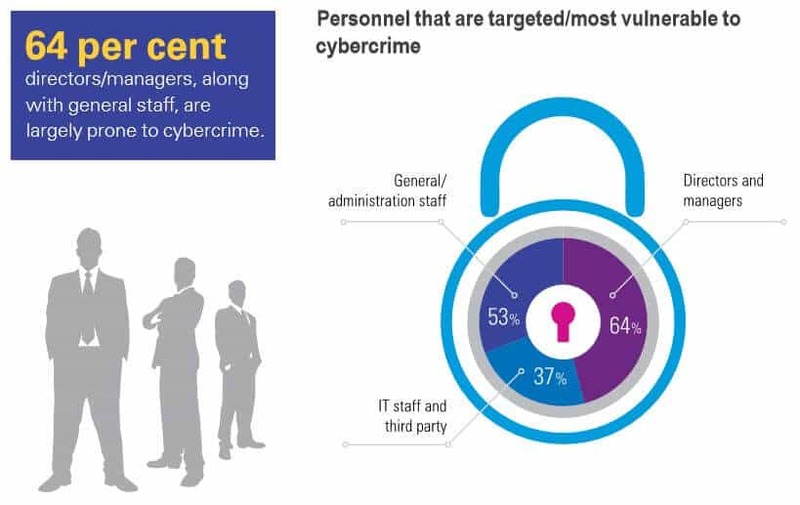 In 2015, professional services firm KPMG conducted this survey that focused solely on cybercrime in India. It examines industry perception, which area of organizations are affected by cybercrime, and what measures companies are taking. 250 participants included CIOs, CISOs, and CAEs, among other executives from a range of industries. It’s clear from the varied outcomes of the studies and surveys above that not all countries are equal when it comes to cybersecurity and internet freedom. Many are poorly equipped to handle cyber attacks, while others are better equipped but more frequently targeted. Some countries boast free and open internet, while others impose strict censorship systems that block access to the web and punish citizens for what they post. Because so much data is now stored online, we’re constantly exposed to a number of dangers including ransomware, identity theft, malware and cyber attacks. These happen every second all over the world, costing the economy millions of dollars. But what countries are being attacked the most and who’s best prepared for a cyber attack? This data visualization will delve into a number of metrics that demonstrate the variety of threats we face online, looking at which countries receive the highest amount of DDoS attacks, cyber espionage, and web application attacks. It’ll also journey across the world to find out which countries give their users the most freedom on the internet, and which are least prepared for cyber attacks. We’ll also take a look at just how much cybercrime is costing various countries. If you don’t want to be another statistic in next year’s report, we recommend you take a few simple steps toward protecting your privacy and security online. Turn on your antivirus. There’s a good chance your computer already has antivirus software built in. If it doesn’t, or you don’t think it’s sufficient, there are plenty of free and paid antivirus programs to avail of. Modern antivirus programs typically have two methods of finding and removing malware from your system. The first is a simple system scan, in which the antivirus will sift through every file on your computer to look for, quarantine, and remove malware. The second is real-time scanning, in which running processes and downloaded files are scanned as they appear on your computer and flagged accordingly. Short for virtual private network, a VPN encrypts all of your internet traffic and routes it through a remote server in a location of your choosing. Commercial VPNs are typically paid subscription services that you can use by installing an app on your device. They have two primary effects. The first is that all of your data is secured in an encrypted tunnel until it reaches the VPN server. This prevents your ISP and hackers on wifi networks from snooping on any of your internet activity and your traffic’s final destination. The second is that your IP address, a unique number that can be used to identify your device and location, is masked behind the VPN’s server address. This helps to anonymize your internet activity. Most commercial VPNs group dozens or even hundreds of users together under a single IP address, making it impossible to trace activity back to a single user. VPNs can also be used to unblock geo-locked content that’s only accessible from certain countries, such as US Netflix or Hulu. Ad Block Plus – advertisements are a common attack vector by which to deliver malware and phishing ads to users. A good ad blocker can keep them at bay. A firewall is an essential defense against unsolicited internet traffic coming or going from your computer. Firewalls are installed on almost all modern operating systems and NAT firewalls on most routers. Keep them turned on and be selective about programs you allow to “phone home” through the firewall. Use strong, unique passwords. Use our password generator to create random, unique passwords for each of your accounts. Use a password manager so you don’t have to memorize them or write them down. If you don’t want to go that route, at least use a combination of upper and lower case letters, numbers, and symbols. Never use the same password across all of your accounts. Never use your personal details that a hacker could figure out. Good passwords will go a long way in protecting your accounts. Besides a good spam filter, there’s not much protection against phishing attempts. You just have to know how to spot them. Don’t open links or attachments in unsolicited emails or text messages. Always look for valid HTTPS certificates on websites where you need to input a password or financial information. If you’re unsure about an email, contact the sender by some other means or ask a question that only they would know to verify their identity. Never, ever give out passwords or other private information in an email. Read more: Common phishing scams and how to avoid them. Don’t ignore security updates. Even though they can be annoying, not updating your software not only endangers your device, but everyone on your network. Once a security update has been issued, hackers will deliberately target that software and users who ignore the security updates. So always update as soon as is practical.